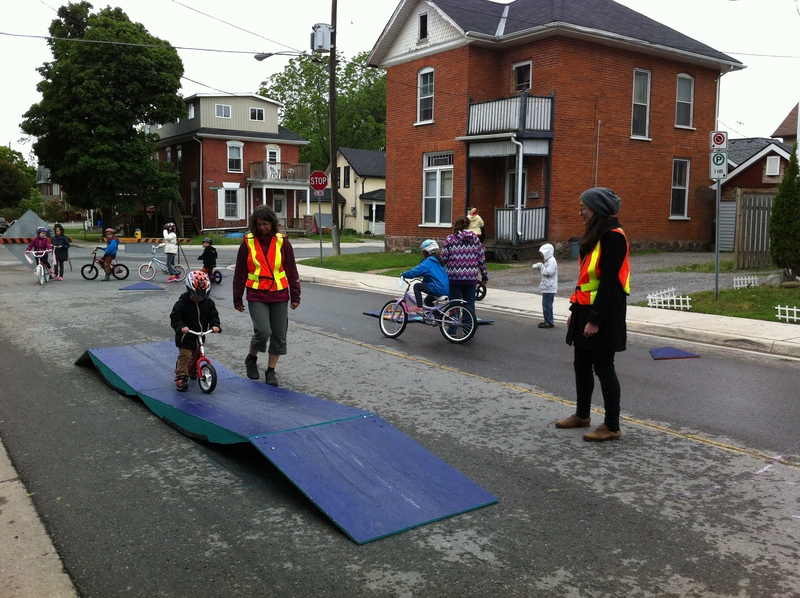 With funding from the Public Health Agency of Canada’s Innovation Strategy to achieve healthier weights in Canada’s communities, Active Neighbourhoods Canada is a pan-Canadian initiative using participatory design towards the goal of green, active and healthy neighbourhoods. Led by the Montreal Urban Ecology Centre, in partnership with TCAT and Sustainable Calgary Society, between 2013-2017, twelve projects have been initiated that engage citizens, community stakeholders and local decision makers from priority neighbourhoods in the process of envisioning a healthy vibrant community through interventions to streets and public spaces. These neighbourhoods support walking, cycling and other means of active transportation for everyone, paying particular attention to children, by providing safe and welcoming urban design. The national team is developing knowledge and practical tools that have been distributed amongst professionals and decision-makers to spark sustainable changes to professional practices and policies across sectors impacting population health.